A minibus is one of the most widely used methods of transport in the UK for groups looking to travel together. They are affordable and convenient which is a reason that many people opt for the minibus as an alternative to other travel options such as car, train or airplane. A popular choice of minibus is the 6 seater which is used by groups travelling all over the UK on holidays, stag and hen parties and to various events. When looking for 6 seat minibus hire a good place to search look is for companies that provide car hire. Most 6 seat minibuses are classed as people carriers or multi passenger carriers and are found amongst fleets of cars. 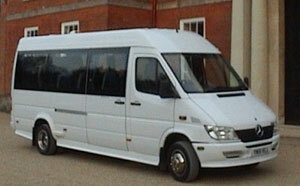 Common 6 seater minibuses include models such as the Vauxhall Zafira and Ford Galaxy which can also hold seven people. Luggage capacity with 6 seat minibus hire will be minimal when compared with large vehicles, light packing is advisable unless alternative methods of luggage transport are available. Many of the modern 6 seater minibuses are fully air conditioned and include a CD player with MP3 capability, these features are excellent for long trips and leg room is also afforded so that passengers can enjoy the journey in comfort. There are generally two choices available with 6 seat minibus hire, self-drive or with driver, each choice has its own benefits. Self-drive will mean hiring the minibus to be driven yourself. 6 seat minibus hire can be done on a standard car driving licence and is beneficial as hire time periods are more flexible. A 6 seater handles much the same as a regular car is an excellent option for anyone not confident with a larger vehicle. Self-drive gives you the benefit of being able to travel where you want without being restricted by the hours a driver is available. Hiring self-drive can also be a cheaper option as there are no driver’s wages to cover. Choosing the option of 6 seat minibus hire with a driver can be beneficial to groups travelling one way, such as airport transfers and nights out. It is also a good option for anyone that is unfamiliar with driving this type of vehicle; a private hire driver will be experienced and have a good knowledge of the local area. This will ensure you get to your required destination safe and on time. Although choosing to hire with a driver may cost more than self-drive, there is no need to take out any insurance or put down a deposit. Most self-drive rental companies will require a deposit or collision damage waiver from the customer; a deposit can often cost £250-£500 and is forfeited should any damage occur to the vehicle whilst in your possession, private hire means responsibility for your safety lies with the company. Self-drive 6 seat minibus hire does give more options in extras that can be chosen, one popular choice is overseas travel which is offered by many of the national companies.